Why would I need self storage in Lauderhill, FL? There are a variety of reasons why you might need self-storage in Lauderhill, FL. How much is a storage unit in Lauderhill, FL? The cheapest storage unit in Lauderhill, FL is $28.00 per month. What size storage units do you have available in Lauderhill, FL? In Lauderhill, FL we have sizes that range from 4'x5' to 20'x20' to suit your storage needs. How much is it for a 4'x5' storage unit in Lauderhill, FL? The cheapest 4'x5' storage unit in Lauderhill, FL is $49.00 per month. Lauderhill is a mid-size city in Florida's Broward County, located on the state's southeastern coastline. It's considered a principal city of the Miami metropolitan area, and has a rapidly-growing population despite its small geographical size of less than 9 square miles. Among the local attractions are several beaches and the nearby stadiums of Florida's professional sports teams. Image via Flickr by TATE'S Comics, Inc. The land where Lauderhill now sits was originally dairy farm country, with more cows than people in the city. The community was officially established in 1959, created by the local builder and developer Herbert Sadkin. It was based on an off-the-shelf set of architectural plans sold by Macy's department store, with home designs that were originally included in a Russian exhibit as examples of the "typical American house." The town grew slowly but surely, and in the 1970s there was development of single-family home communities. The 1970s also saw the arrival of the Inverrary Country Club, which hosted the 1972 Jackie Gleason Inverrary Classic and was also the site of Gleason's final home. Through the 1990s, Lauderhill mainly existed as a popular retirement community, with many retirees owning winter homes in the area. However, Lauderhill's population has recently shifted to become much more diverse. The city of Lauderhill enjoys the typically sunny, warm weather of the Florida coastline. As a result, many of its attractions and local activities take advantage of the great outdoors and the year-round pleasant climate. There are more than over 20 parks within the city limits, featuring botanical gardens, sports fields, children's playgrounds and historic points of interest. There are also a few different aquatic facilities in Lauderhill, where adults and children alike can enjoy large swimming pools and water play areas. 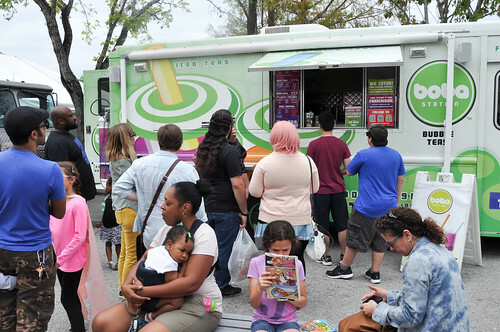 The family-friendly nature of the Lauderhill community is exemplified in its special events, clubs and recreational activities, many of which seek to engage children in active, educational fun. Dance classes, the local talent show and summer day camps are just a few of the city activities your child might enjoy. There's no shortage of things to keep adults busy either, including a variety of fitness classes, game clubs and adult sports teams. The public schools of Lauderhill fall under the jurisdiction of Broward County Public Schools. The district offers traditional schools as well as more than 100 charter schools within the larger district boundaries. You can also enroll your child in one of Lauderhill's private schools, many of which are highly-rated. Utilities: The city of Lauderhill manages residential water and sewer services. Most homes receive electricity from Florida Power & Light (FPL). Garbage and Recycling: If you're going to be living in a single-family home in Lauderhill, you will receive a city-issued can for twice-a-week collection. Transportation: Broward County operates a network of public bus routes throughout the entire county. The city also has a community bus shuttle to provide access to major points within Lauderhill's limits. Lauderhill is among Florida's most affordable beach cities, with a median home price that's nearly half the average of the larger Miami metropolitan area. There are single-family homes, town homes and multi-family communities, providing plenty of options when it comes to choosing something that fits your needs. Our lowest priced units in Lauderhill, FL average $66.55 per month. 996 people have reserved units in Lauderhill, FL in the past 30 days. There are 11 locations within Lauderhill, FL's city limits. There are 8 locations in Lauderhill, FL that offer AC and Heating features.